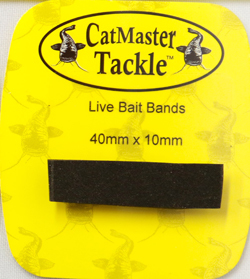 CatMaster Tackle Silicon Float Adaptors. CatMaster Tackle Silcon Float Adaptors are ideal for those who regularly use a snatching rod for their livebait catching. Giving you the ability to change floats with out the hassle of having to breakdown every time. 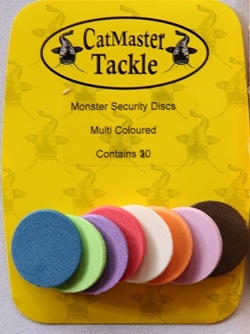 Quality foam disc's great for adding that extra security for soft baits such as Luncheon Meat as well as hard baits such as pellets. Can also be used in creating the "Kebab Rig" where alterative layers of bait and disc's are threaded on to the hair. Also allows combinations of bait to be used together ie Squid & Mackerel cocktails etc. Supplied in a variety shades of pink which will blend into the colour of luncheon meat. Supplied in a variety of colours. 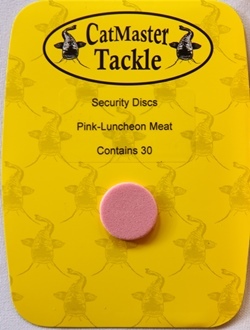 Quality rubber sheilds great for adding that extra security for soft baits such as luncheon meat, as well as pellets but also for livebaits. 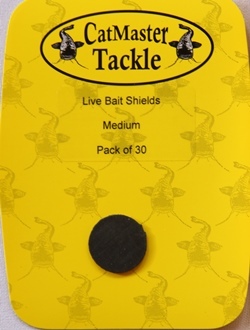 Quality Rubber Live Bait Bands offer the advantage of being able to secure the bait with the hook so as to reduce the sawing effect that can happen with other methods of securing live baits. An effective way to mount luncheon meat & soft pastes. Simply tie on to your hair, ensuring that it is securely fixed. Simply tie on to your hair. Supplied on a tube complete with plunger. Simply tie a small knot at the end of the mesh. Fill the mesh through the top of the tube, push to the bottom using the enclosed plunger. Tie a second knot to enclose the bait. Please ensure that you secure the mesh ball to your hook or hair in such away that it can't be pulled off by a fish. 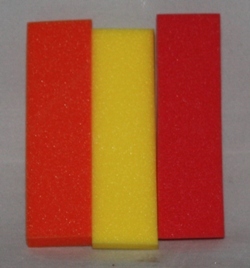 3 Sticks 1 of red, 1 of Yellow & 1 orange. Having a multipe of uses. 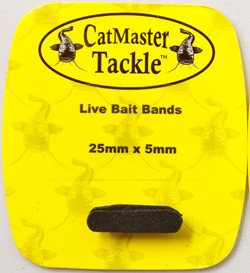 CatMaster Tackle Stiff Rig Foam. 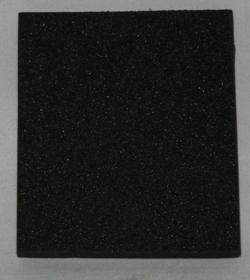 A stiff rig foam with low absorption. Having a multitude of uses. 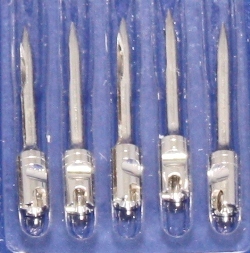 Lengths of stiff tubing sized to match either the length or width of a tin. The idea of stiff tuding is to protect luncheon meat or soft bait (paste) from the cutting effect of the hair. 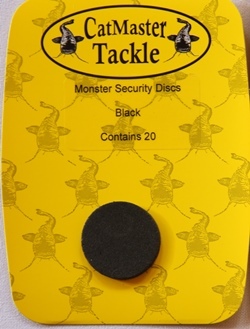 CatMaster Tackle Leech & Worm Clips. 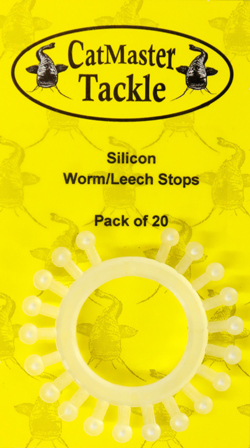 Designed to enable Leeches & Worms to be used on a bait friendly clip so as to present them on a hair rig. Having the added advantage of no barb on the clip making it far easier to hook and remove the clip from leeches, therefor keeping any damage to a bare miniumum. 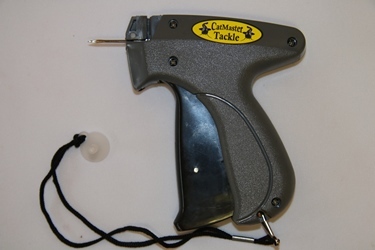 An easy way of hair rigging live or deadbaits by using a gun needle to attach a nylon hair to your chosen bait, keeping damage to a bear minimum. Using stiff but supple nylon hairs. 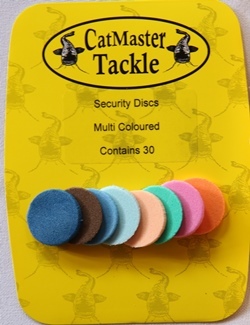 200 CatMaster Tackle Stiff Hair Refills. Replacement needles for our Stiff Hair Rig Gun.